With so many fabulous restaurants around North Myrtle Beach we’re having a tough time trying to decide where to dine on Thanksgiving this year. Sometimes we stay home and cook a traditional holiday meal and it’s truly a most lavish spread. But we don’t do that every year, which is probably why it’s so special when we do. This year we’re going out to a local restaurant in North Myrtle Beach. If you’re vacationing in the area you may also be looking for a restaurant close by where you can get a Thanksgiving dinner that includes everything right down to the green and black olives. We’ll share a list of restaurants in North Myrtle Beach that we know will be serving dinner on Thursday, November 26. Why not treat yourself to a special meal out this year and let someone else do the cooking? Maybe we’ll see you there! 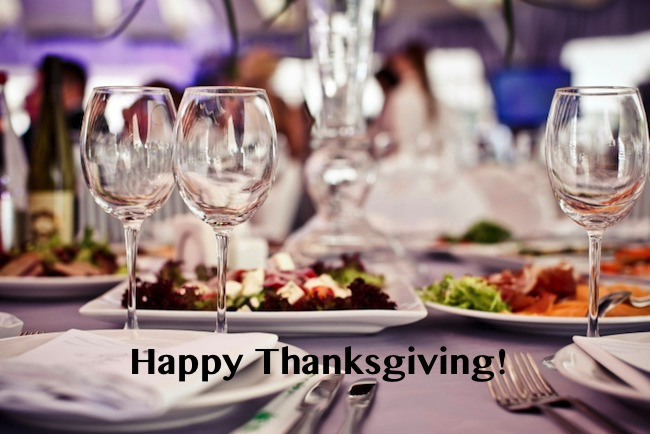 Have a very Happy Thanksgiving 2015! Thanksgiving Dinner beginning at 12 noon. Thanksgiving Buffet from 11 a.m. to 7 p.m.